Representing the biggest gathering of dental professionals in the southern hemisphere, the Australian Dental Congress offers a wealth of opportunities for CPD learning, discussion and networking with colleagues, and exposure to the latest dental products and services, all in one conveniently-situated location. 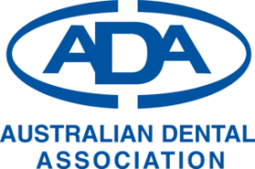 As the largest and leading continuing professional development event for dental practitioners in Australia, the Australian Dental Congress is an ideal way for dentists and allied dental professionals to contribute to the fulfillment of their ongoing professional learning requirements, with the main scientific program and associated sessions offering many tens of hours of career-enriching material. The Australian Dental Congress offers an unparalleled opportunity to network with colleagues and friends at a series of social events that run the gamut from the Welcome Reception on opening night through to Congress Late Night over the weekend, and in-between, at a multiplicity of teaching sessions throughout an expansive program.